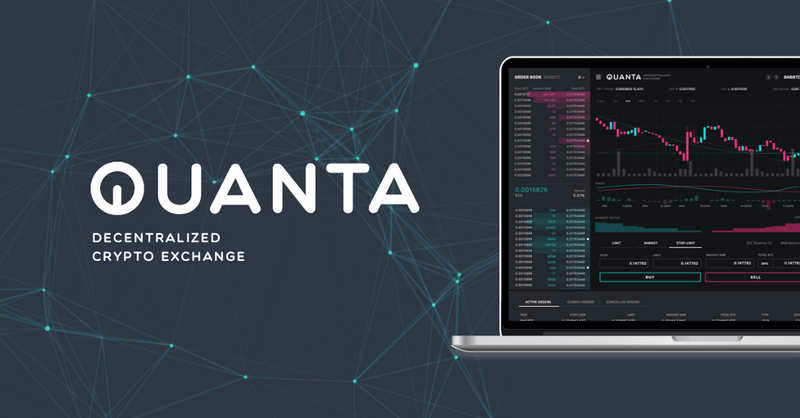 QUANTA will run the first cryptocurrency exchange operating on a decentralized blockchain, where the community can extend its network, contribute to the blockchain development, and vote over coins listings, and roadmap. San Francisco, California, April 3, 2018 — QUANTA (quantadex.com), a Silicon Valley based team comprised of members from prominent companies such as eBay, PayPal, and Netflix, is announcing that it will offer crowdsale of $50 million in QUANTA Coins. The funds will be leveraged to continue the development and the launch of the public decentralized exchange and blockchain. To bring forth the vision, QUANTA Foundation, a non-profit organization (NGO), will be raising the ICO with the mandate to promote and nurture the growth of the network. The development team based in Silicon Valley, is tasked with developing the core platform, the exchange user interface, mobile apps, and APIs. The team has decades of experience building large scale e-commerce, payment, and internet-consumer platforms. Security, speed, scalability, flexibility, and usability of the exchange platform continue to be the focus for the team. As QUANTA team continues to deliver the platform, the QUANTA Foundation will continue to involve the community. Traders — Provide feedback to improve trading platform and to add new features and new apps. Voters — Coin listing and delisting, roadmap & features, will be driven by the community voting process. Network operator — Earn % of the trading fee based on the volume & latency of trades executed on their server. Coin holders — Trading fees are distributed back to the network coin holders. Blockchain Developers — Extend the platform functionality via GitHub PR and network upgrades. App Developers — Take part in building new & interesting features for traders, and earn QUANTA coins based on installs and usage from users. Recently, QUANTA experienced an overwhelming demand and excitement from the community after launching their pre-registration, which generated over 100,000 registrations in over 5 days from over 160 countries. They are currently open for public registration for everyone, at quantadex.com. What is your opinion on QUANTA Aims to Disrupt Cryptocurrency Trading With The World’s First Community-Driven Decentralized… ?